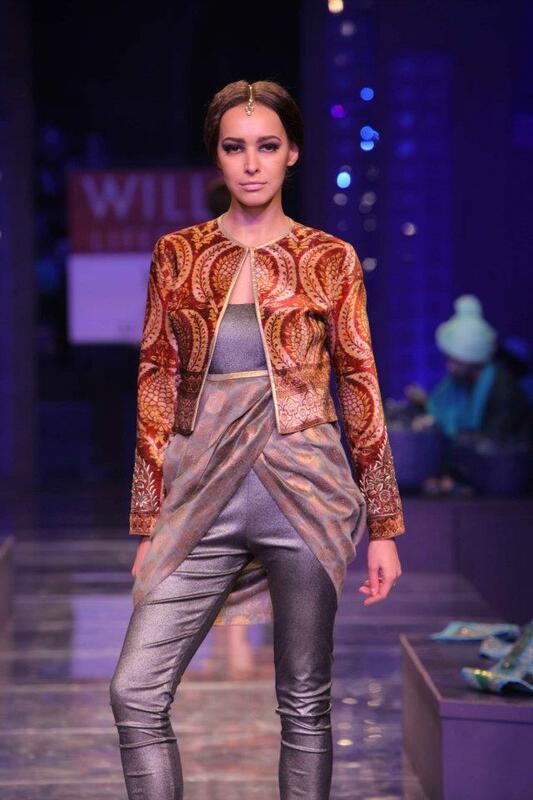 Fall/ Winter 2012 collection were showcased in New Delhi at the prestigious Wills Lifestyle India Fashion Week. Eminent Designers as well as upcoming ones got a chance to present their works. 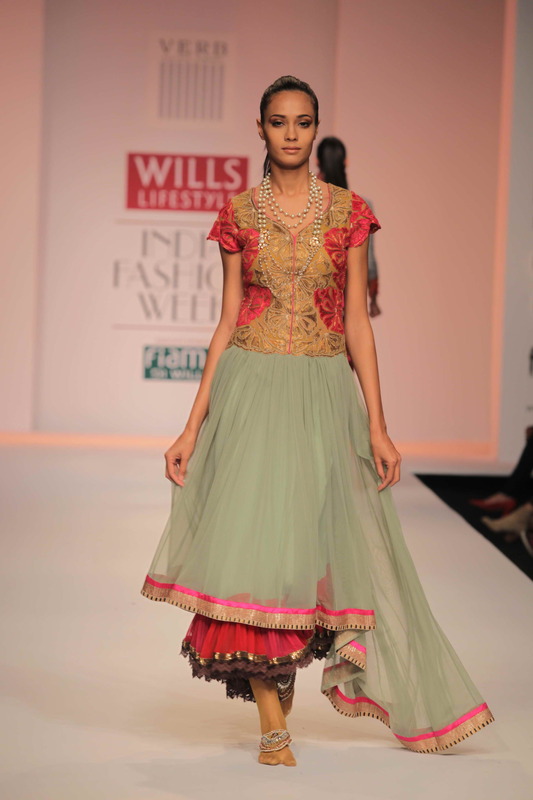 ‘Borrow it Bindaas’ brings to you the style forecast for next season as seen at WLIFW. 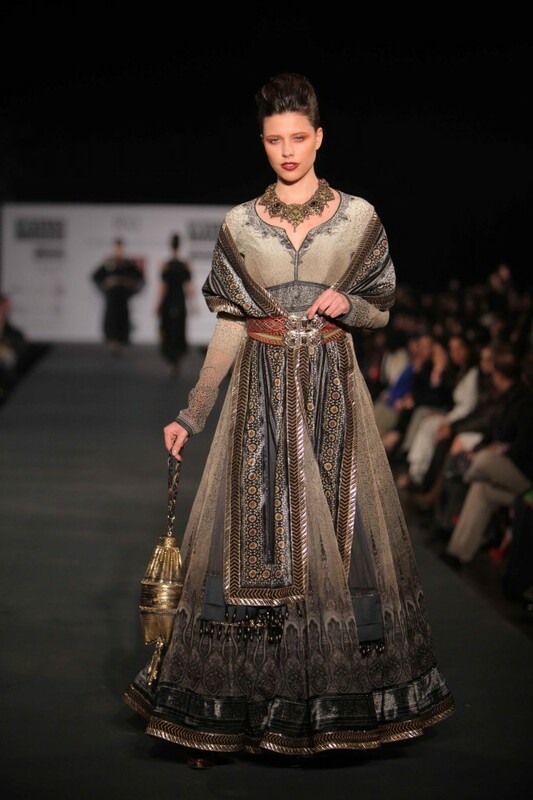 The grace and the richness of this woven fabric were at its peak at the WLIFW. 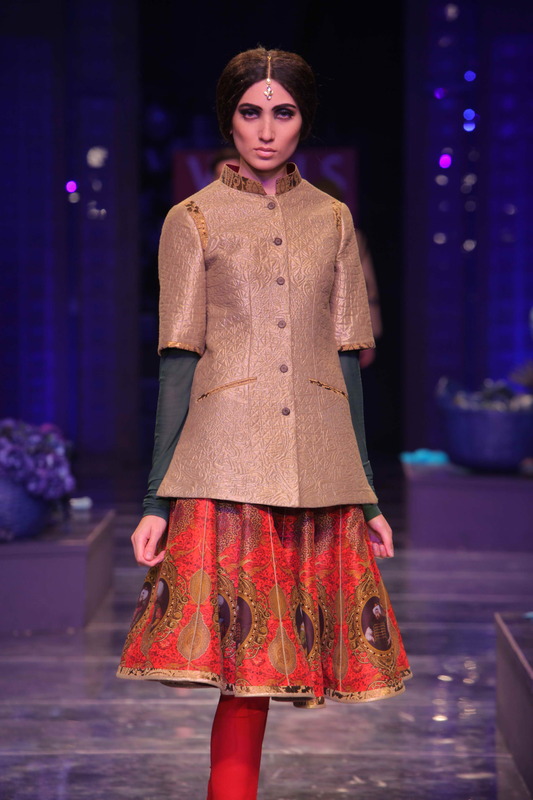 Winter season calls for warmer silhouette and hence Brocade fits the bill for this upcoming season. Wear this fabric as kurti or try a bright brocade choli with pastel shade saree. Fall does not mean that you have to ditch bright spring colors and stick with the neutrals! You can combine them! WLIFW saw a bright color detail work on colors like khaki, teal, beige and grey. Hot pink embroidery or accessories on pastel color will definitely lift your mood and also make you ready to party. 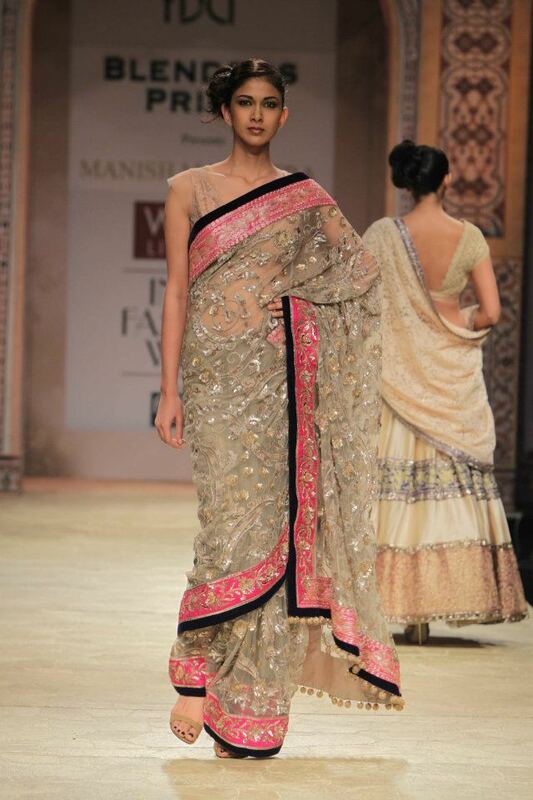 Till now we have seen trends where voluminous Anarkalis have been paired with churidhars. 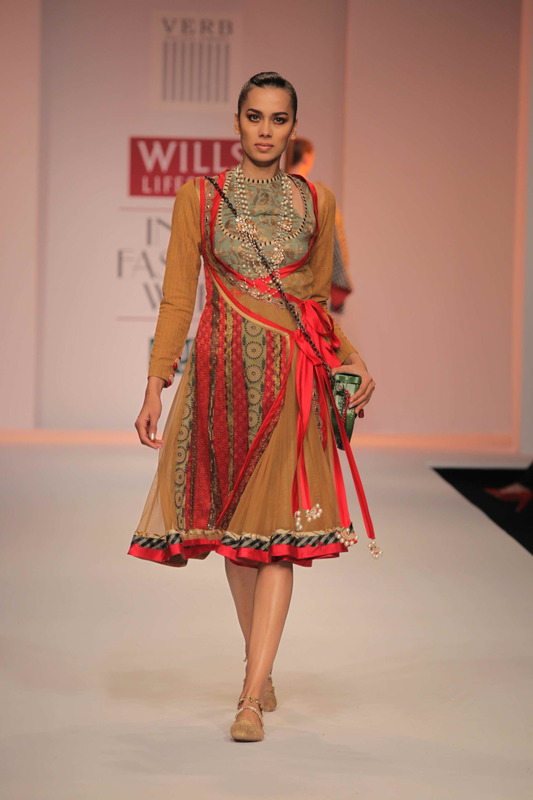 But the collections at WLIFW witnessed a change in this trend by adding straight leg pants with detail work underneath Anarkali. 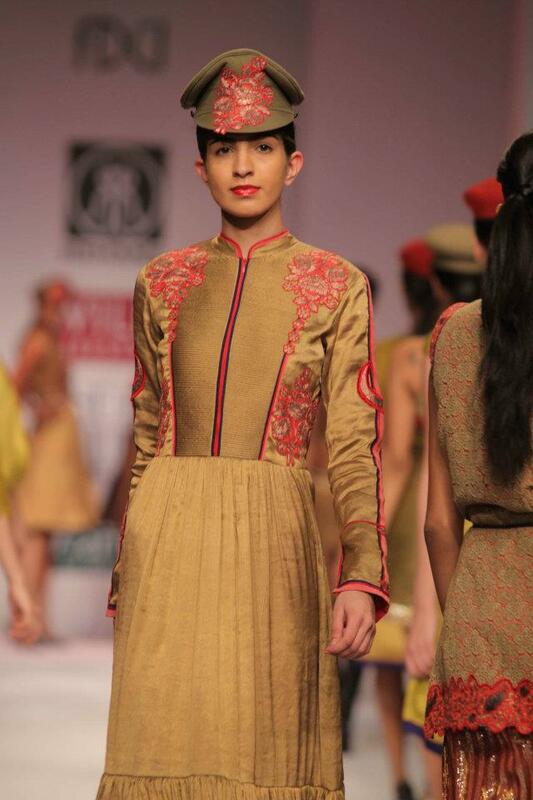 If you have a knee length Anarkali, try to pair it with pants to work this trend. 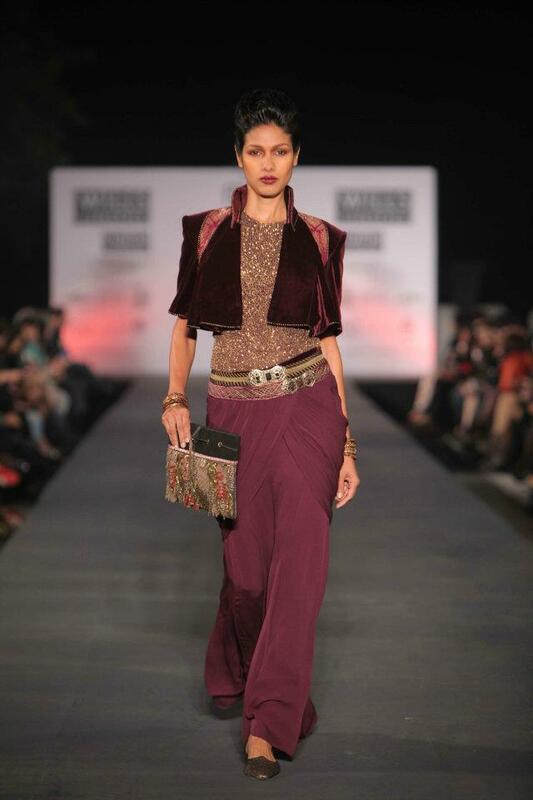 Bolero jackets have found a place in Indian ensemble as they have been combined pants, chudidhars and even sarees. Brighten any pastel outfit with a vivid color bolero or tone down a bright color outfit with a sole color jacket. Geometric prints will be very much ‘in vogue’ this fall season in dual tones or multi-color. One can have loads of options in geometric patterns like squares, circles, lines etc. but make it a point to wear the print alone or combine it with understated colors. 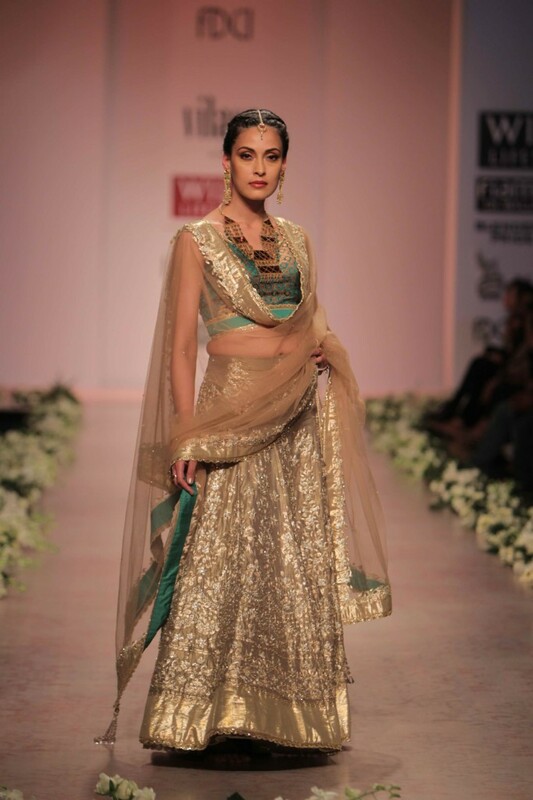 Veteran Designers like JJ Valaya, Manish Malhotra, Tarun Tahiliani, Rocky S & James Ferreira showcased their latest works at the fashion week along with talented designers like Nachiket Barve, Reynu Taandon, Anand Kabra, Pallavi Singhee and Dhruv-Pallavi. « Borrow It Bindaas Invites You to Join Us in Chicago!